The US government says it’s a violation of scientific integrity for political officials to alter scientific findings. 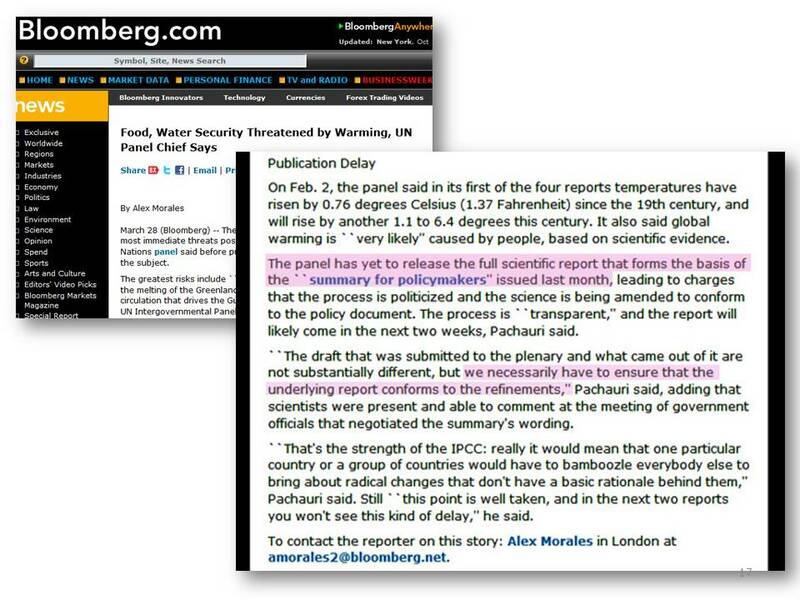 But political revision is central to how IPCC reports get produced. IPCC summary-rewriting meeting. Click to enlarge. Photo credit: www.flickr.com/photos/ipccphoto/14108451053/ Image used here in a fair use context. More info here. Click to enlarge. Photo credit: www.flickr.com/photos/ipccphoto/14108452703/ Image used here in a fair use context. This entry was posted on January 29, 2017 by Donna Laframboise in ethical & philosophical, IPCC and tagged Intergovernmental Panel on Climate Change, IPCC.